NEW YORK – Air travel is often considered one of the safest modes of transportation, but if you ask pilots, many of them will tell you that the airlines are not putting safety first. At a global debate, pilots announced their growing concerns with many airlines and the lack of safety culture principles. In fact, one study found airline executives and financial decisions have greatly impacted airline safety in recent years. 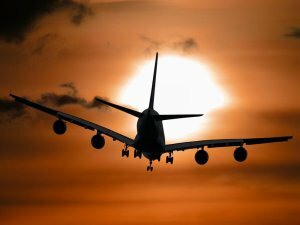 One of the most alarming concerns involved pilot fatigue. According to polls, 76-percent of the pilots working for cut-rate companies reported they were tired at work. In general, more than half of all pilots said they were frequently flying without enough rest. 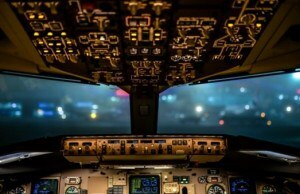 Even at this rate, researchers believe many pilots are afraid to say that they were fatigued at the helm, and the true number of sleepy pilots could be much larger. A New York airplane injury lawyer at Cellino & Barnes says the fatigue and lack of safety culture can also trickle-down to other staffers, including maintenance crews and flight attendants. Some of the most common incidents on airplanes have to do with falling luggage. It’s estimated that over 4,000 people suffer injuries every year after being struck by falling suitcases, bags, boxes, or other carry-on items. New York airplane injury lawyers say it is the flight staff’s duty to make sure all items are properly stowed before take-off. It is also the crew’s responsibility to make sure overhead bins are functioning properly and won’t suddenly open in-flight. These accidents can cause serious and permanent injuries, but victims of irresponsible airlines don’t have to fight the big corporations alone. The New York airplane injury attorneys at Cellino & Barnes have helped many travelers get compensation for their injuries. If you’ve been injured in an airport, or in-flight, contact Cellino & Barnes for a free case evaluation. BUFFALO, N.Y. – On February 12, 2009, an airplane carrying 45 passengers and four crewmembers took off from Newark, New Jersey – destined for Western New York. This flight alone sparked a movement over the next eight years, and it pushed Congress to enact strict regulations for pilots and regional airlines that would improve safe operating procedures across the country. However, those rules could expire in September. Many of the passengers on Flight 3407 had families in Buffalo, Rochester and in the Greater Niagara region. They were fathers, mothers, brothers, and sisters. Many of them were heading home, but something went wrong. As the aircraft approached the Buffalo Niagara International Airport, it entered an aerodynamic stall – and it never recovered, crashing into a home. All 49 passengers and crew were killed in that accident nearly eight years ago. Investigators linked the cause of the crash to pilot error. Since then, many things have changed. Several family members didn’t rest until Congress acted to make airlines safer for everyone: bumping-up every pilot’s training requirements from 250 hours of air-time to 1,500 hours, among other policies. Many of those families are now at it again – lobbying U.S. leaders to keep the strong flight safety legislation – or enact even more stringent regulations. A Buffalo airplane accident attorney at Cellino & Barnes says many regional airlines are also in Washington, pushing lawmakers to reduce the number of training hours, and many believe that could put passenger safety at risk. The airlines are small, often hiring less-experienced pilots at lower salaries in comparison to the larger international carriers. Since the strict standards were implemented in 2013, regional airlines have complained about a pilot shortage – one that has put some carriers out of business, and threatens others. However, families say this is not a business decision – this is a safety matter. In addition to renewing the safety standards, many advocates are calling for a pilot record database and more funding for the Federal Aviation Administration. The FAA reauthorization package expires Sept. 30. Although stronger safety standards have made flying safer, accidents can still happen. 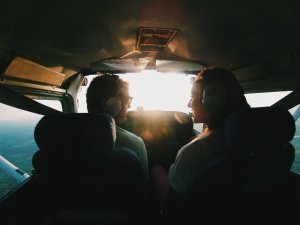 If you and your family have lost a loved one in an airplane crash, you’ll want to make sure you have the best legal representation you can find. Not all airplane accidents are deadly – the vast majority of incidents are injuries that occur on a commercial airline, but these injuries can also be devastating. If you or a loved one has been injured on an airplane – or your family has lost a loved one in an airplane accident, there are people who can help. The airplane accident attorneys at Cellino & Barnes have handled many cases against airlines, and that experience has helped clients get the best result possible from a claim. The big airline companies have a team of lawyers in their corner – you’ll want to make sure you have an experienced team of trial attorneys in your corner; ready to fight for your rights. Call Cellino & Barnes today for a free consultation. ROCHESTER, N.Y. – The Federal Aviation Administration issued a new rule this week that mandates additional training for many pilots. If the FAA identified any medical flags, authorities would step-in. This sometimes resulted in ordering more tests or grounding the pilot completely. The new rule also states that physical exams can now be completed by a family doctor. An airplane injury attorney at Cellino & Barnes says the new regulations could improve safety in the air for over 300,000 recreational pilots. The FAA said the changes will make the process “more efficient” for private pilots and keep “aviation flying affordable.” Advocates of the new rule have said the medical requirements were too expensive and tedious before. In fact, medical exams had cost pilots an estimated $20 million each year. 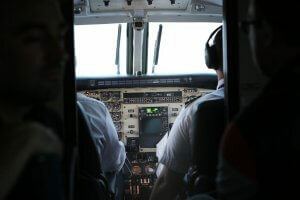 In a 2014 study, the National Transportation Safety Board noted that many pilots were “flying without a medical certificate” because of the costs associated with the previous medical requirements. Some pilots were found to be using prescription medication while flying, and determining their fitness to fly on their own. Commercial airline unions have gone on record saying the newest regulations give pilots and passengers an adequate level of safety. However, some research has discovered that prescription medications are an increasing problem, although they rarely correlate to the cause of airplane accident. In any case, if you or a loved one has been injured on an airplane, you may be entitled to significant compensation. Cellino & Barnes has experienced airplane injury lawyers who can help you and your family get the best result possible from an injury or wrongful death claim. The consultation is free, and you won’t owe a fee unless Cellino & Barnes wins your case.